Mixing drinking water storage tanks is well recognized as an important tool for improving water quality and protecting tank assets. There are many mixing technologies for operators to choose from, with varying degrees of performance, but to solve serious water quality problems, powerful mixing is key. Powerful active mixing eliminates thermal stratification and ensures uniform conditions throughout the tank. This has been shown to lower overall disinfectant residual demand, reduce the risk of nitrification and enable safe, reliable boosting of residual disinfectant. Additionally, powerful mixing can protect and preserve tank assets by preventing the ice formation (which can scrape tank coatings or puncture tanks), and lowering summertime headspace temperatures (which reduces corrosion rates). 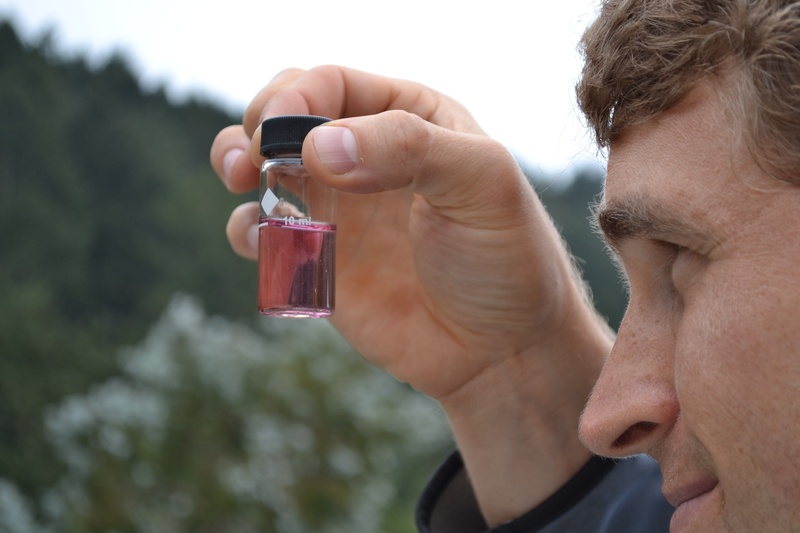 Water Quality, El Niño and Drought: Oh My! 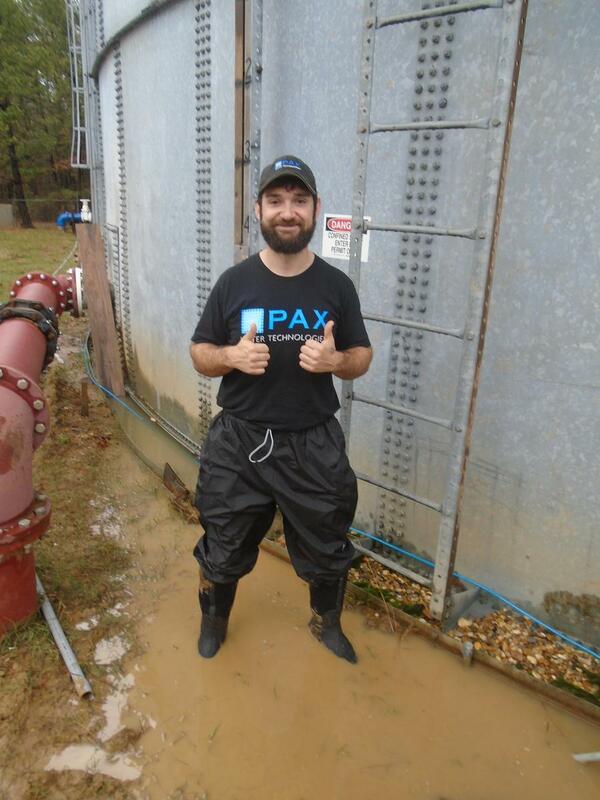 Water treatment plant operators have a challenging job under normal circumstances. They must optimize treatment strategies for varying water demand and cope with unpredictable (but inevitable) emergencies such as infrastructure repairs and emergency response. Now, large-scale weather patterns such as drought and El Niño are making a tough job even more challenging. Every winter, water utilities across the United States and Canada deal with the challenges of cold weather, including main breaks and equipment outages. While these emergencies come without warning, they are obvious and visible when they do occur. 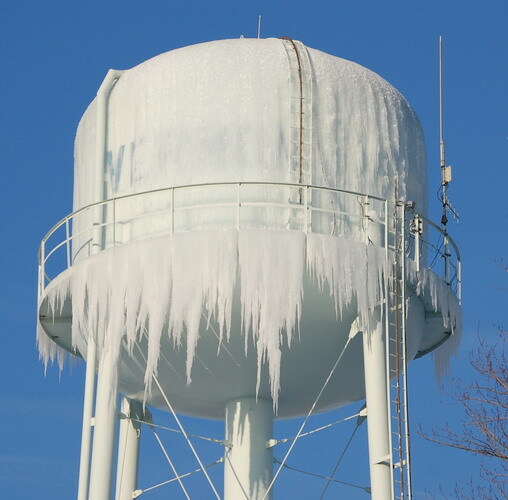 But in other parts of the water distribution system, cold weather can create risk that is hidden from view: ice formation inside water storage tanks. 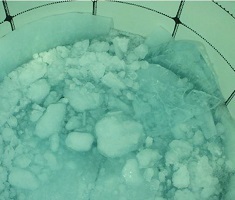 Often, the only time operators realize they have a problem with ice in their tanks is when it’s too late: after a tank’s interior is damaged or when the tank wall is punctured. 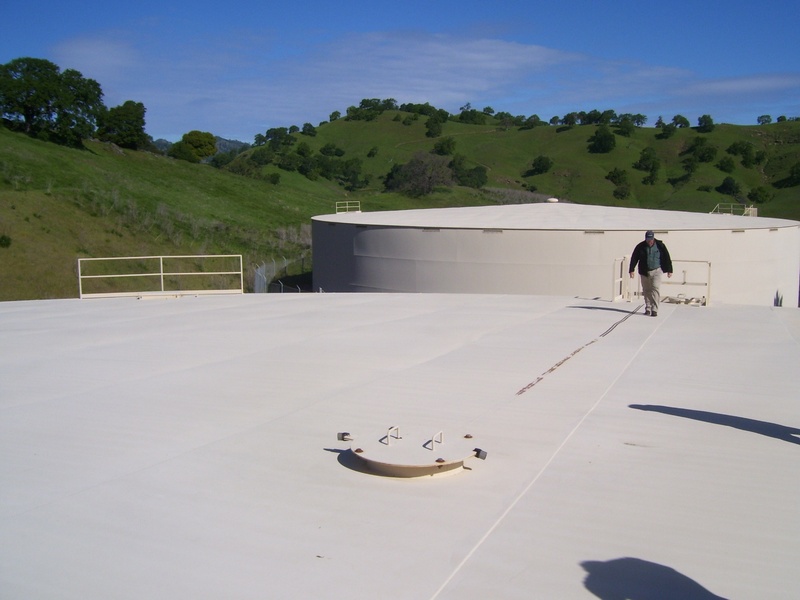 Few operators climb and inspect their tanks in winter, so the extent of ice formation inside of water storage tanks is often unknown. 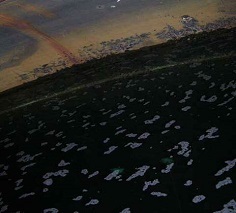 Below we have compiled five factors that indicate your tank is at risk for ice formation. 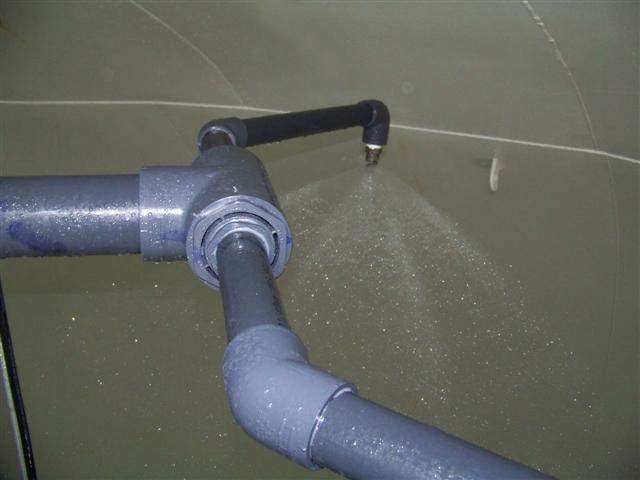 In-tank aeration is a proven method for removing trihalomethanes (THMs) from finished drinking water storage tanks. However, aeration technologies can vary greatly in their effectiveness and energy usage and selecting in-tank systems can be complicated. Several factors must be taken into consideration when selecting a system and each system should be customized to the tank to maximize THM removal while minimizing energy cost. Below, we have answered four questions received during our last webinar on in-tank aeration to help explain how in-tank aeration systems are designed. Water is an unusual liquid. In warm temperatures, the warmer more buoyant water will rise to the top of a tank and the cooler more dense water will sink to the bottom. In the winter, when water cools to its freezing point, it becomes lighter and floats to the top. As you heat up water from its freezing point, it gets heavier for the first few degrees and is at its densest at 4°C above freezing. It can all seem very counterintuitive! If you decide to use a heater inside your storage tank to prevent ice formation, you will have to overheat the water to make it buoyant enough to float to the top. This will require a lot of extra energy. By combining heating with active mixing, you can actually keep the tank ice-free during the winter and use substantially less energy. 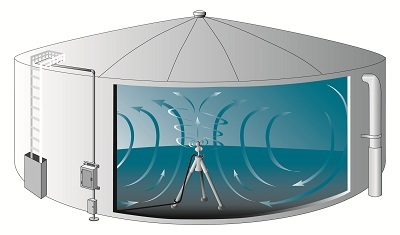 There are many design factors for operators and engineers to consider when specifying mixers for water storage tanks – ranging from tank size and geometry to obstructing tank internals like columns and baffles. 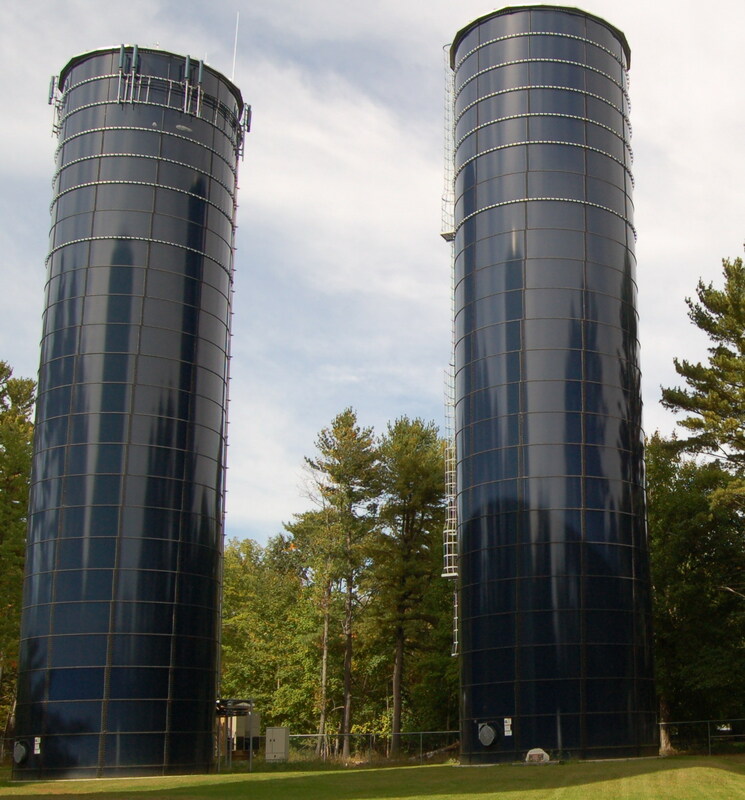 Below are the three of the most common questions we’ve received regarding mixing and storage tank design. Feel free to add your own tank design challenge to the list by leaving a comment below.